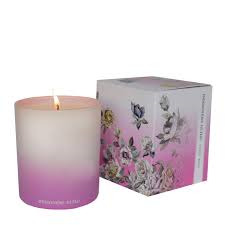 A romantic and subtle candle of fresh garden roses with middle notes of violet and jasmine. Exclusively designed in our London studio and manufactured in the UK using the finest ingredients and luxurious formulations. None of our product have been tested on animals. Burning time of 45 hours. Now £20.00 Qty: 6 In-stock.